The University of Sydney's School of Chemical and Biomolecular Engineering is world renowned for cutting edge technology innovation. The university has obtained funding from the Australian Government's National Collaborative Research Infrastructure Strategy (NCRIS) Program to build an advanced hydrothermal biofuel research plant on its campus that converts non-food biomass resources to biofuel under hydrothermal conditions (i.e. in water at up to 300°C and up to 250 atmospheres). 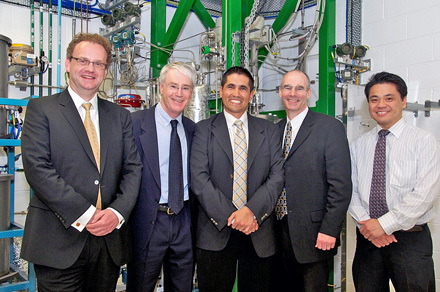 The first semi-automated, continuous-flow kilo-scale research facility of its kind in Australia, this pilot plant will research how non-food feed stock biomass such as woody plant matter can be used to produce biofuels and other chemicals more efficiently. 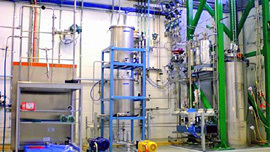 As this facility runs semi-continuously for days at a time at high temperatures and pressures, it was essential to have a control system and SCADA interface that would be able to safely control the process while allowing researchers to change trending, reporting, batch, and test conditions without having to stop the process. This allows researchers to modify tests as research progresses, while having on-demand access to reports. They are also able to access the SCADA operation and engineering screens remotely, via a Web browser, and can receive reports emailed by the system that update them on the status of a test. This last feature is quite convenient as it frees researchers to go on to other tasks while waiting for a test to complete. The remote asset management capability drives down operating costs while optimizing the sharing and exchange of information. This is made possible by the incorporation of the latest Web technologies in the Java-based FAST/TOOLS engineering and maintenance environment. Established in 1946, the School of Chemical and Biomolecular Engineering at the University of Sydney was Australia's first university-level chemical engineering program. The school is very active in carrying out a wide variety of cutting edge research in the chemical and biomolecular engineering fields. The first challenge for the university was the limited funds available to procure a control solution for this project. Pressures of up to 250 atmospheres at temperatures as high as 300°C require quality equipment that is highly reliable. Yokogawa partnered with the university to provide the required instrumentation, control system, SCADA software, and control solution engineering for a state of the art, research friendly control solution that was within the available budget. Yokogawa also provided ongoing engineering support including several major control strategy modifications as the development work on the research plant progressed. With this pilot plant, researchers can test many different substances under a wide variety of test conditions, then rerun the tests for verification purposes. This requires the ability to quickly and easily obtain and modify trends and reports in response to changing research requirements. 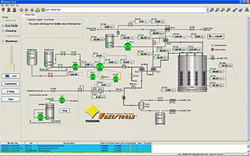 Yokogawa's FAST/TOOLS SCADA software is ideal for this purpose, allowing the researchers to do this directly and online, thereby greatly facilitating their efforts to improve biofuel production and develop it into a commercially viable, sustainable energy source. One of the benefits for the university is that FAST/TOOLS is an "all in one" SCADA solution that functions as a data historian, allows the local customization of trending functions, and has a reporting function. All data is stored by FAST/TOOLS. Data can also be exported as a CSV file for basic analysis in Excel and long-term storage. Reports are generated after each batch and the researchers can compare the results with their criteria for that particular test. As the individual batch tests are usually run by different researchers from a variety of companies, there is usually no need to compare results from different batches. Joint leader of the NCRIS project, Professor Brian Haynes of the School of Chemical and Biomolecular Engineering was looking for companies who could work with the research requirements of the university. Yokogawa's capability to partner with the university on the project showed that the company is dedicated to providing quality solutions and is able to engineer these solutions to meet changing research requirements. 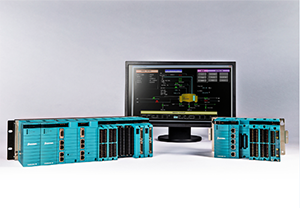 The advanced control capabilities of the integrated Yokogawa solution provide an excellent research solution which can easily be customized as the research evolves. Yokogawa pressure, temperature, and Coriolis mass flow transmitters were utilized because of their reliability, ease of configuration, and accuracy.